Writer Rebecca Mileham has been working with us on the text for the interactive exhibition galleries at The Postal Museum. She shares how a recent trip brought home to her the impact and influence of the postal service around the world. In the scorching heat of Penang in Malaysia, you’ll find all the spicy flavours and intriguing scents of a tropical island. As you sit in an open-air coffee shop and order a plate of sizzling noodles or an ice kacang, it all feels truly exotic and different. 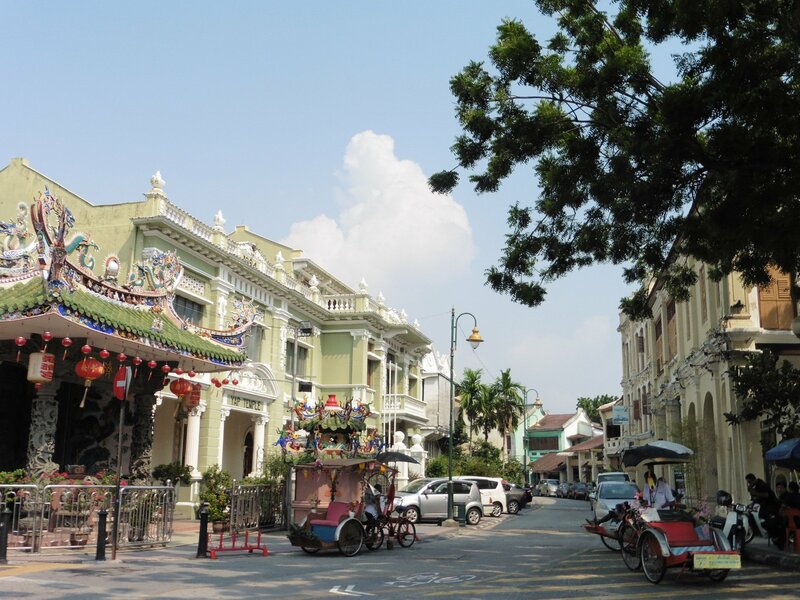 But Penang has one very familiar sight that reminded me of home, as I discovered on a trip there a few weeks ago. At the side of a busy road, I spotted a red pillar box, complete with the initials VR – Victoria Regina. 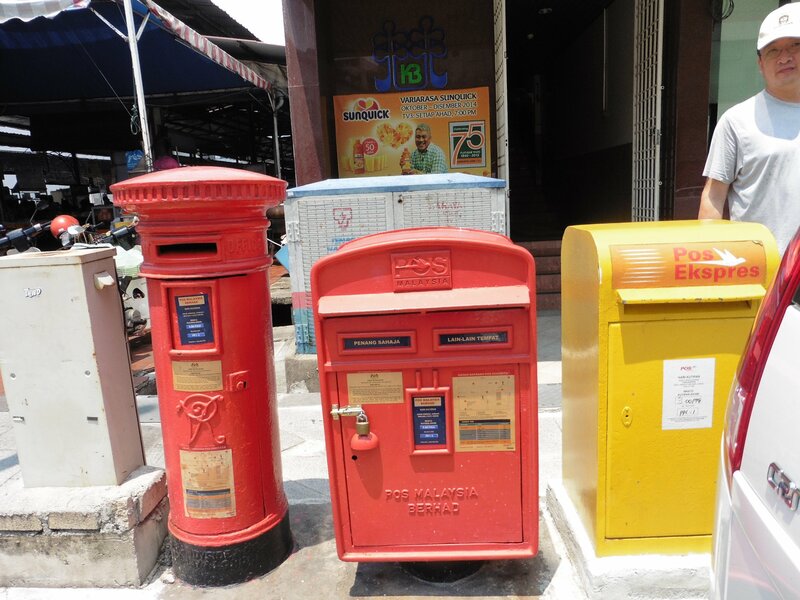 Still in daily use, this sturdy piece of Victorian heritage stands next to two local Pos Malaysia mailboxes. Together, they’re a great reminder of the influence of the Post Office around the world, and the way it changed communications forever. At The Postal Museum, we are preparing to share the vivid stories of hardship, heroism, intrigue and ingenuity that have shaped the postal service over the last five centuries. From the earliest years as a mail service for Henry VIII, to the reforms that brought penny postage in reach of everyone in Britain, the museum will also trace the vital role of the post during wartime. The picture comes up to date with striking new designs, new technologies and new ways to keep in touch – and looks at how the Post Office and Royal Mail still deliver vital services today. We’ll use the museum’s collections of objects, images and original letters to reveal the answers to mysterious questions. How did a lion once delay the post? Why would people die to save the mail? Did the Penny Black stamp really change the world? 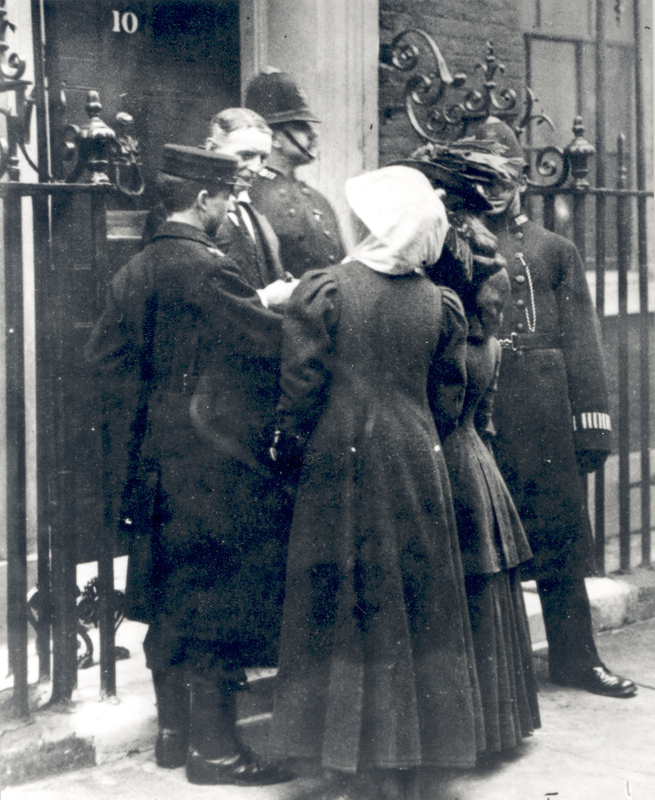 Who once sent themselves in the post to 10 Downing Street? You can also have a go at sending mail by pneumatic tube, or seeing how you look in a letter carrier’s uniform. The archive and collections have incredible tales to tell and we’re putting the finishing touches to the text now in time for the opening in late 2016. See you then.